Byron’s – Golf tips with my Hot Dog? You must have seen me coming! 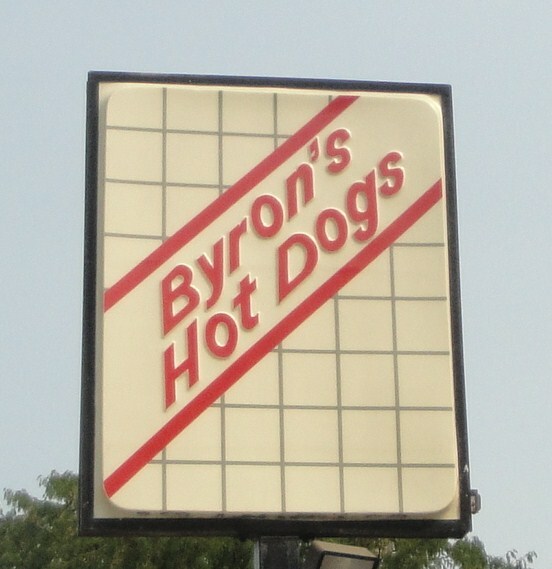 As I approached Byron’s hot dogs on Lawrence the first thing I saw was on old style sign high up above the power lines, then as I walked through the car park there was a whole wall painted yellow with the Byron’s sign, a Chicago Dog and a Vienna Beef sign. I love this kind of stuff, it adds 10% onto any hot dog I will be eating here, at least. 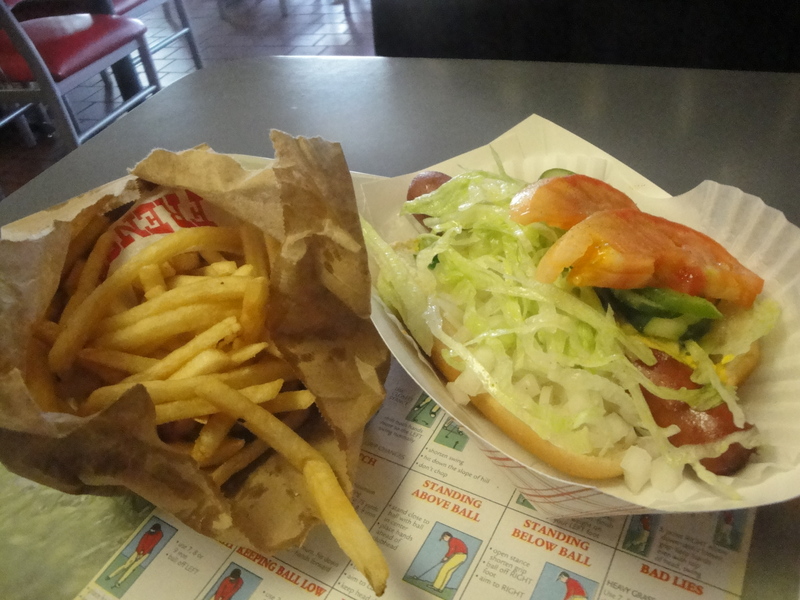 I think that the Chicago Dog is iconic, but I have never really fallen in love with it as a meal. When I see a picture it feels like a book that I have bought for the photographs but never read. 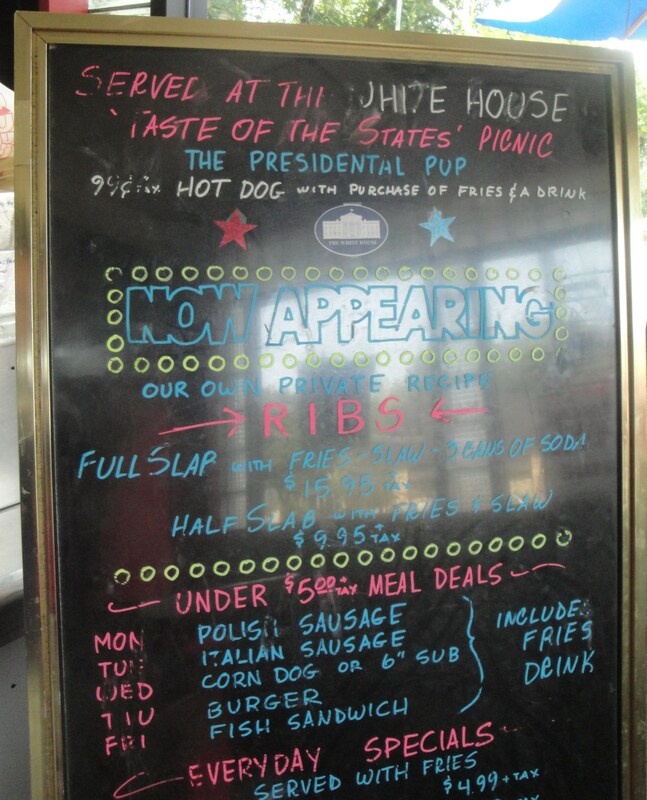 Inside Byron’s it has an old school feel, the usual stick on menu items, supplemented by a board of specials that makes a point out of the fact that they served hot dogs at the White House to President Obama. Hey that must tell you something about the place. That was enough to make me stick to choosing a basic hot dog instead of something else. 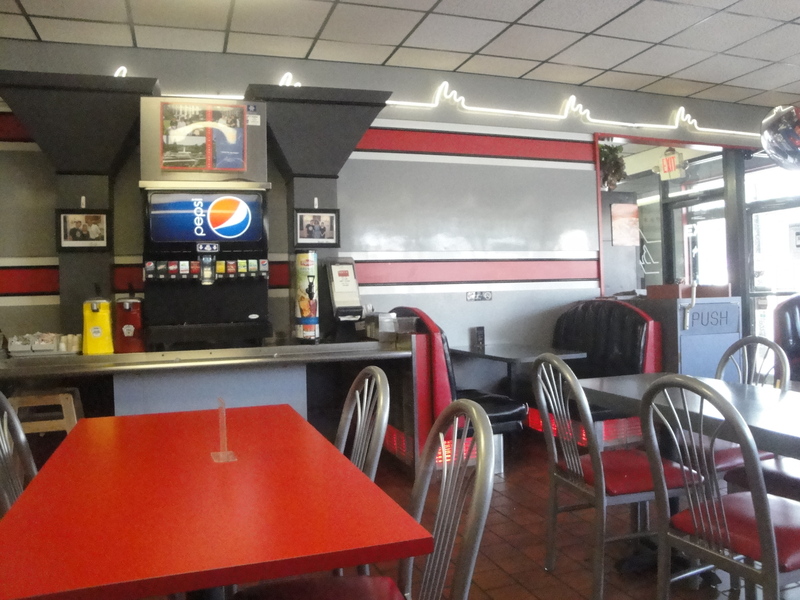 Once out of the ordering area it is like an old school dining seating area, red table booths, black leather seats. Really, really quite cool. I went for a “Hot Dog with everything but the pickle”, expecting a normal Chicago Hot Dog, but oh no this has so much more. As I watched the guy add more and more stuff from the salad tray I was thinking “is he trying to make my hot dog healthier?”. The bottom layer was mustard, green relish, chopped raw onion, then a layer of lettuce, cucumber, tomato, green pepper and then a sprinkling of celery salt. I will have to be honest as I picked up the hot dog nearly all the toppings fell off, I looked at it all in the tray and thought oh well I am eating what I have left here, the bun fell apart and I just ate the dog with mustard, relish onion and a little bit of the salad and that was enough, was it good, it was a fair dog, hey the president eats these, but then again maybe the salad fell of his too. Maybe thats the idea. It’s like OMG this could be healthy, then it falls off and its like panic over, we are just eating a hot dog guys, phew. So I saved the best part for last and only because it meant so much more to me than just the hot dog experience. 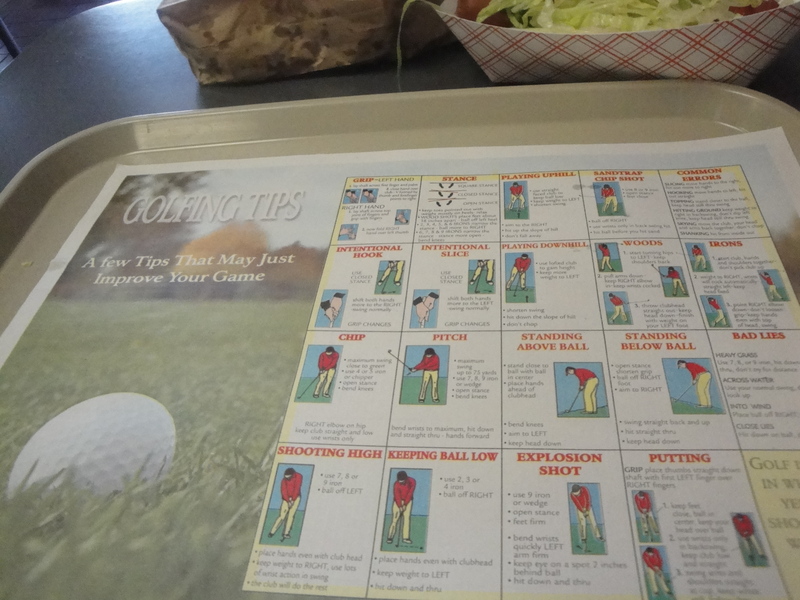 The whole meal was served on a sheet of golfing tips, and as an avid golfer playing of single figures, I can say that these tips were not bad, soem of them were spot on. Excellent stuff, OK so I missed out on the opportunity to colour in some dinsosaurs but that was fine with me.